Homemade Vegan Fudgesicles | Live. Learn. Love. Eat. Today was another HOT day! 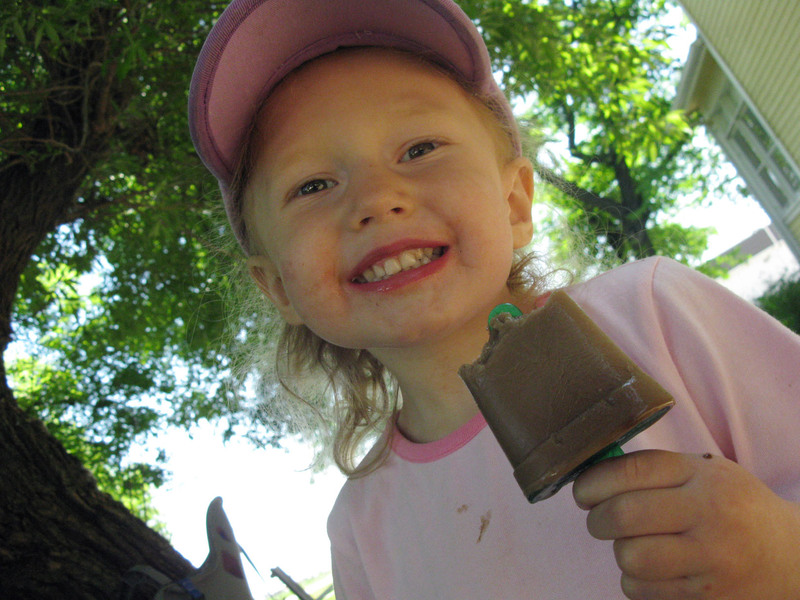 We went to the beach and when we got back our homemade fudgesicles were ready to eat! I thought up this recipe one day using the creaminess of Silk milk and the deliciousness of chocolate sauce. 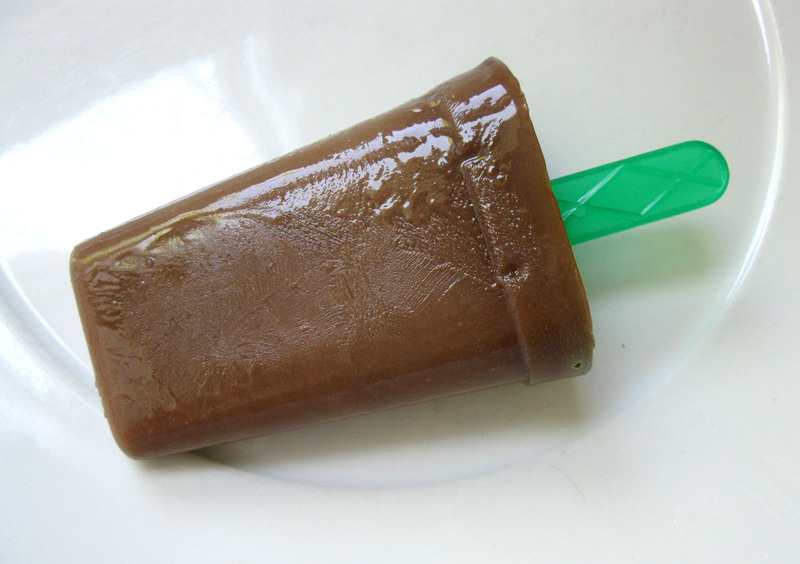 Our girls love to make and drink chocolate milk, so I thought why not freeze it to make fudgesicles? 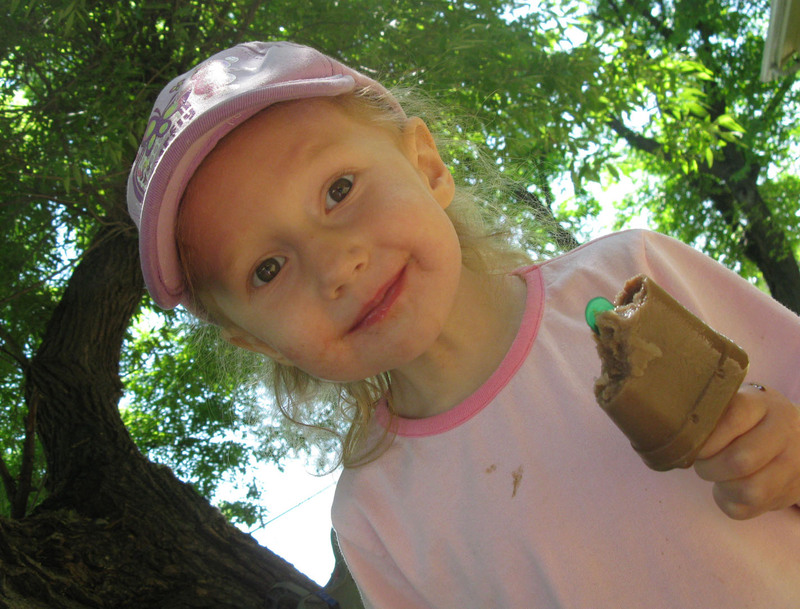 These are a great treat on a hot day! * You could also save a step by just using chocolate Silk as well. 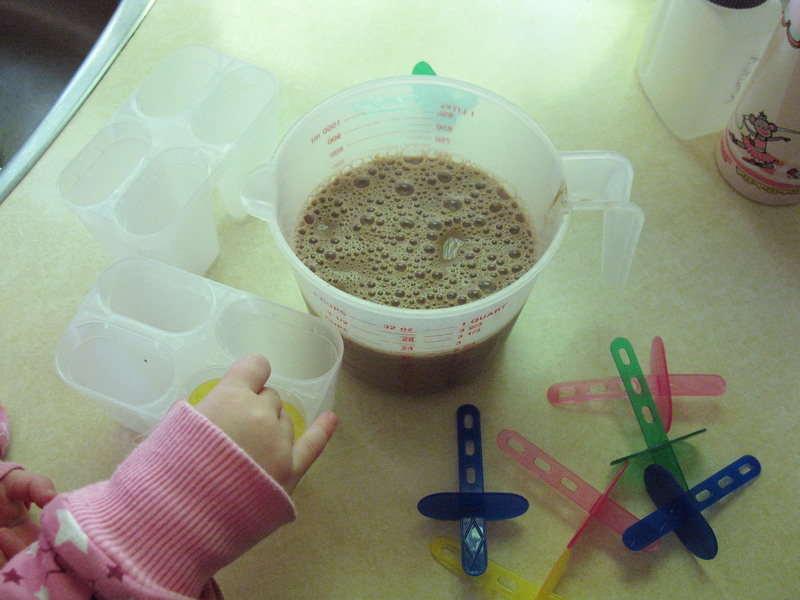 Place the chocolate sauce and the milk together in a liquid measuring cup and stir until mixed. 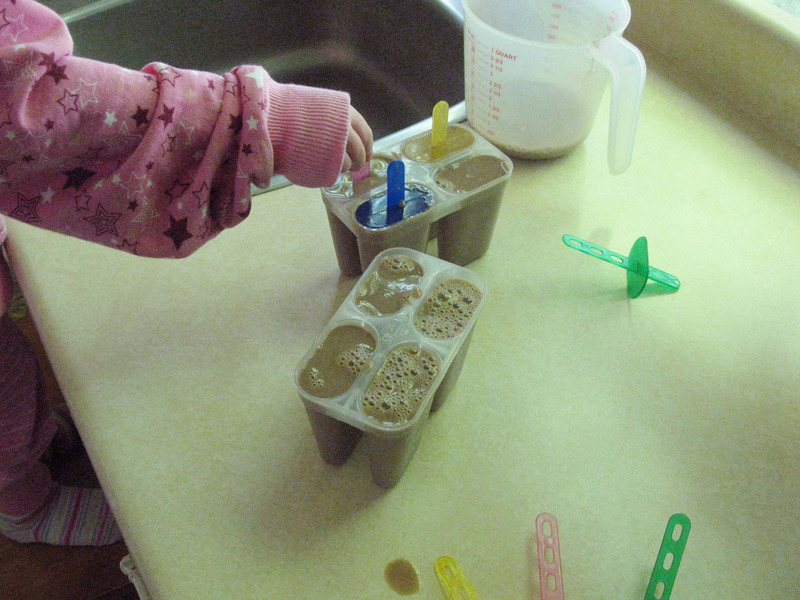 Pour the chocolate milk into the 8 popsicle molds. Place the handles on top and freeze for at least 3 hours. 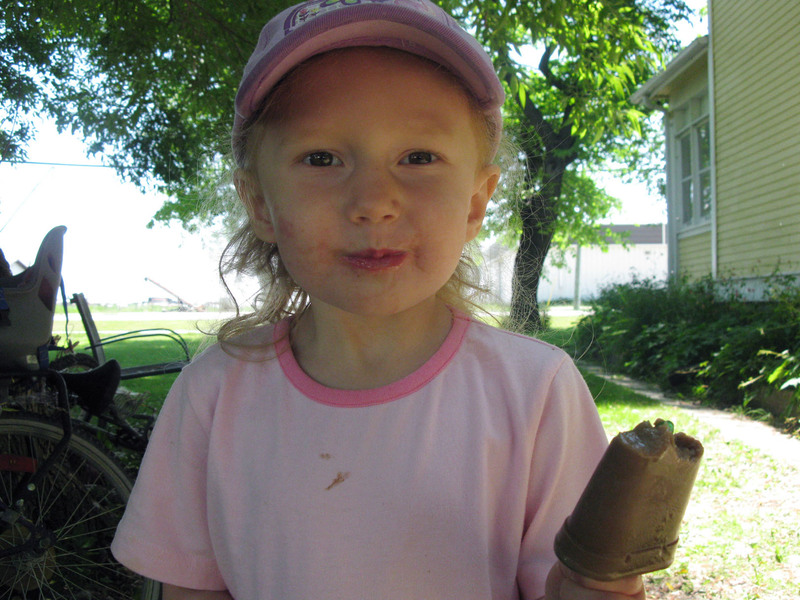 mmmm, fudgesicles. 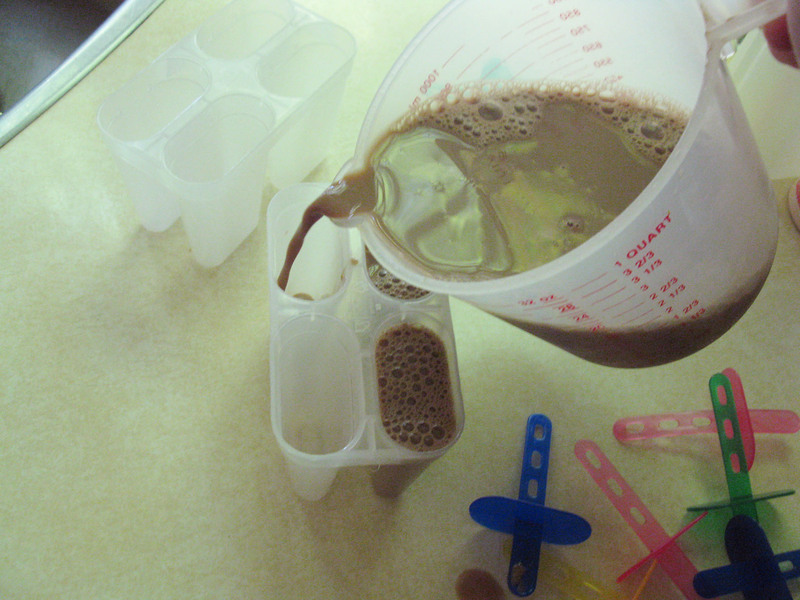 I haven’t had them in years… Can I save a step by simply using chocolate soy milk, or are the results different?… I wish we had some of your hot weather. You could totally do that. In fact I will add that in there. These were super easy and the girls loved them. It has been hot and then cloudy and rainy here and there too. On the nice days I makes sure that I am outside for most of the day. I hate being stuck in the house. mmm definitely making these ASAP!! once we get some hot weather too…We live in Langley, BC, and the weather has yet to be sunny for 2 days in a row! MMMMMMmmmmm. 🙂 YUMMY! 🙂 Where do you find the vegan chocolate sauce? Well, I think most chocolate sauces are vegan as long as there are no milk ingredients in them. Chocolate Silk works too. yes i know how you feel tiffany! i’m now in month 6 and when it does get hot here i almost die also! haha. ps nesquicks choco sauce is vegan friendly. and last time i checked so are oreos…. Pingback: Healthier Vegan Junk Food | Live. Learn. Love. Eat.